As supper clubs go, Luiz Hara’s Japanese Supper Club is considered one of the most notorious within London’s underground food scene. 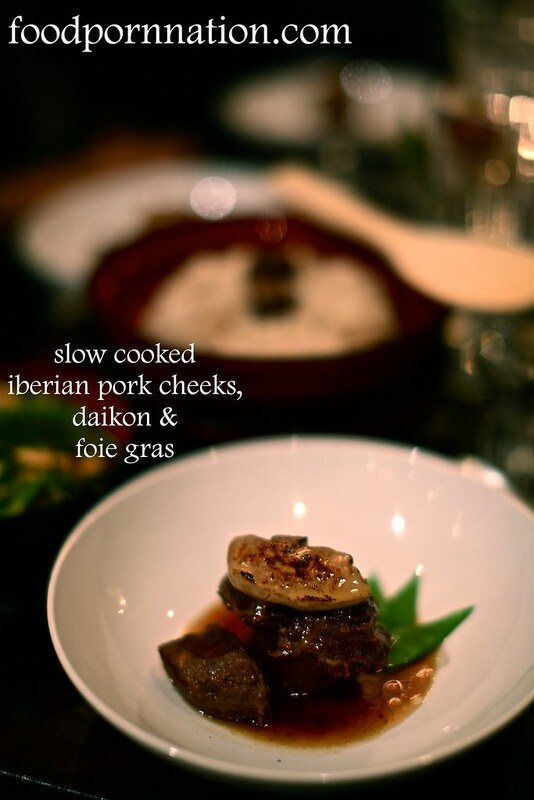 The Brazilian born half Japanese ex-investment banker aka The London Foodie, introduces a culinary experience like no other and showcases that the possibilities of Japanese home-style cooking are truly infinite. Luiz turned his back on corporate banking by risking it all to pursue his real passion in food that led him straight to this wonderful endeavour. Take his training in Tokyo in Japanese cuisine and throw in his Grand Diploma from Le Cordon Bleu Paris. Then consider his custom-built supper club basement kitchen, swanky Islington pad and you have yourself an unorthodox recipe for culinary success. Think of Luiz’s supper club as restaurant quality dishes that can go head to head with London’s best, all in the comfort of his gorgeous home. But be prepared for some serious verbal discourse because you’ll be seated intimately at a long dining communal table with some perfectly good strangers. All this for the nominal price of £45. Well, what are you waiting for? 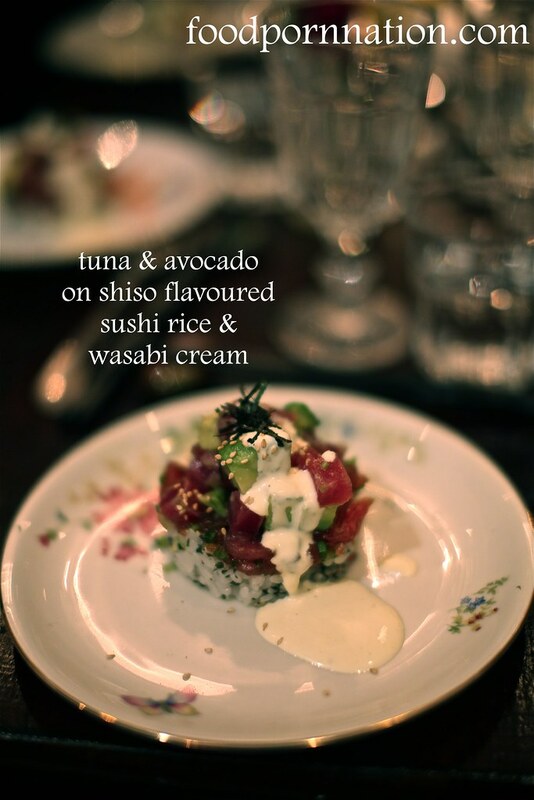 Things are off to a whopping good start with the tuna & avocado, shiso flavoured sushi rice & wasabi cream. It’s fresh, delectable and gloriously spectacular with the delicious wasabi cream elegantly drooling to one side. The shiso sushi rice shows us what good sushi rice is really made of. It is cooked to perfection, holds the right amount of stickiness, savouriness and a hint of sweetness. The combination of flavours are so spectacular, it is already the hot favourite of the night.